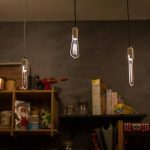 US designer Maria Mordvintseva-Keeler has embarked on a project titled “Food for Thought”. 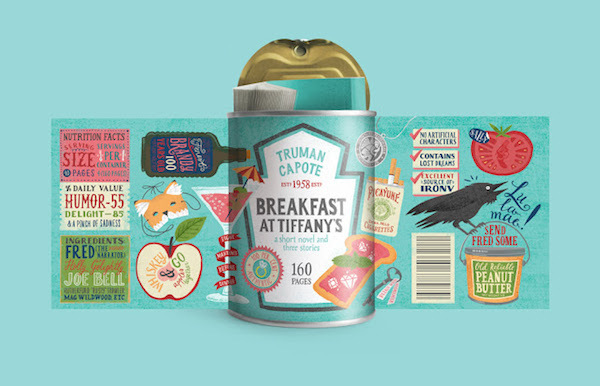 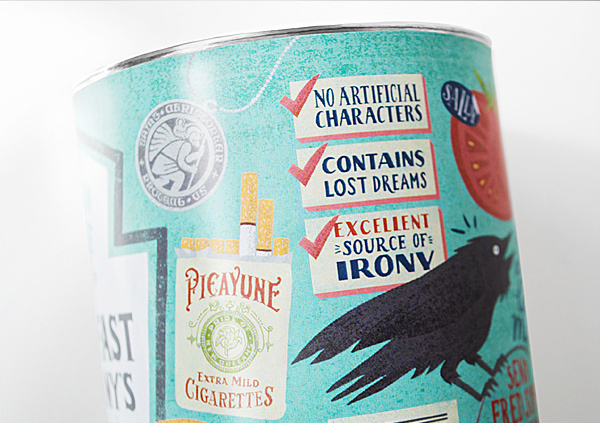 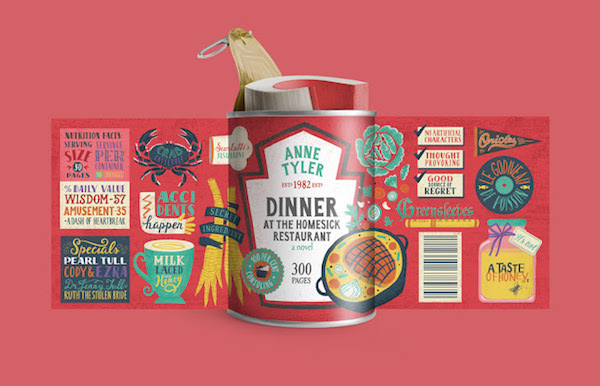 The series features packaging designs for for three books with meal-related titles—Breakfast at Tiffany’s, Naked Lunch and Dinner at the Homesick Restaurant—that look like tins of canned food. 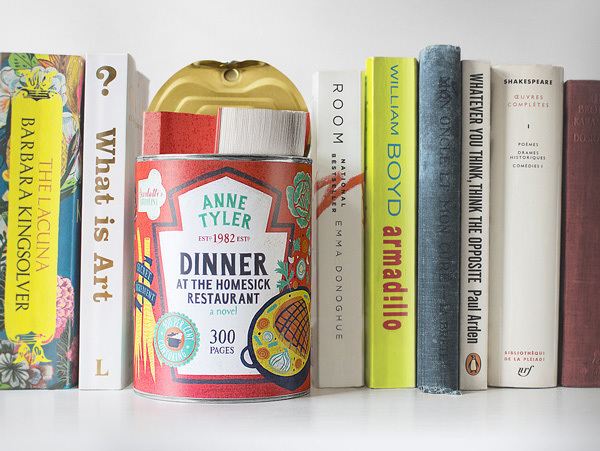 The tins are covered with vibrant illustrations that reveal the plots and characters of the books at a glance—the ‘nutrition labels’ include information about their genres and the number of pages they contain.